Hardscaping refers to the man-made features in a landscape design. While trees and other plants may change with the seasons, hardscaping accents provide a permanent design to your landscape. 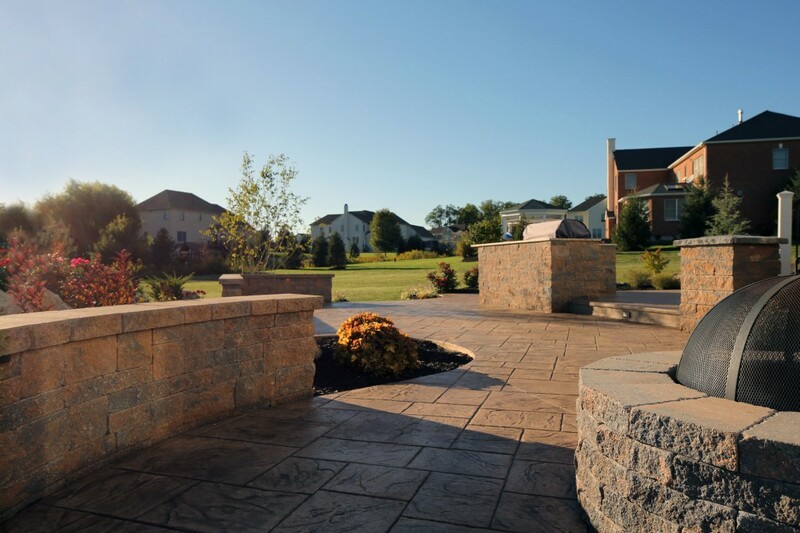 Examples of hardscape include a patios, walkways, walls, water/ fire features, and structures. Hardscaping your yard can mean anything from, adding a simple patio, to creating large retaining walls to hold up a pool area. The process usually involves excavation and moving the earth to create areas. A patio on a flat piece of land will have minimal excavation that needs to be done. For areas that have terrain changes and other obstacles, such has large trees and boulders, the process of adding a hardscape design can be quite involved. Adding a hardscape may be the best way to elevate your property’s appeal. It not only makes your home look great, but it also adds to the re-sale value as well. Hardscape may be a necessity in some situations or it may be a desire to want to create a certain area. Some reasons people need to get hardscape include creating privacy, leveling terrain changes, or reducing the lawn thus the maintenance and upkeep that comes with it. A reason many people may want to add hardscape is to create outdoor areas perhaps for entertaining or relaxing. The hardscape design you choose should flow with the character of house. Incorporate colors from the interior or material that exists on the exterior. If you have a great outdoor view beyond your property, then you might want to accentuate or create areas where that view becomes more noticeable. A well thought out hardscape plan, along with plant material added will create the ultimate landscape design for your property. Plant material moves with the wind and changes with the season. By adding plants you are creating harmony with the hardscape. The hardscape is permanent, while the plants are always changing. Using the right materials, whether it’s concrete, pavers or stone adds strength and durability to your design. Concrete is durable and can take on any shape. 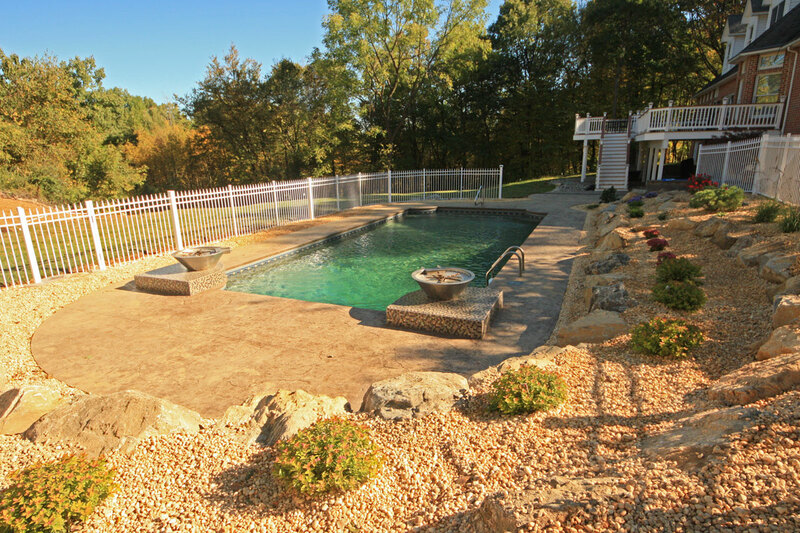 Our stamped concrete comes in a variety of different patterns and color combinations. We also offer regular concrete and acid stained concrete. The paver material we use have a color blend that goes well with any existing outdoor feature. Combining our stamped concrete with pavers is a match made in heaven and will look great on your property. Natural stone or flagstone is another alternative and is more expensive than both pavers and concrete. Bluestone, slate, and limestone look beautiful in any setting. Hardscaping will add beauty and functionality to your backyard. With a well thought out design idea, a budget parameter and professional assistance, you can maximize your property’s value and enjoy your investment for years.